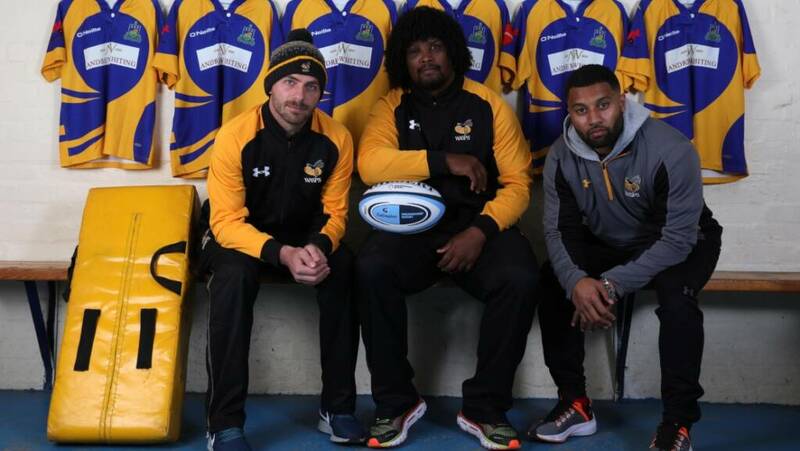 Wasps forward Ashley Johnson says the club are up for the fight as they look to finish their Gallagher Premiership Rugby campaign with a flourish ahead of their five remaining games. The Midlands side face fellow strugglers Worcester at the Ricoh this weekend, with the Warriors just five points behind them in the Gallagher Premiership Rugby table. Wasps currently lie eighth on 37 points, eight ahead of bottom side Newcastle Falcons who are in strong form with three wins from three. At the other end of the table Wasps are 12 points behind fourth-placed Harlequins, with the Coventry-based side in risk of missing out on the top four for the first time in four years. “It’s going to be a tough old game against Worcester but hopefully we can prepare well and get back to winning ways,” said Johnson, who was speaking at a Gallagher ‘Train with your Heroes’ session at Kenilworth RFC after their ladies side won a nationwide competition launched by title partner and community insurance broker Gallagher. “It’s still a long season to go but we’re in for the fight and we’re desperate to show the fans that we still care, we do care about the jersey and we want to show that. Sometimes the only way to do that is by winning games. “The Gallagher Premiership is a tough old league! I’ve been here for quite a while now and every time when I do interviews I say any team can win any game and it couldn’t be more true for us this year. “I don’t know how many games where we’ve been beaten within seven points whereas last year it was the opposite for us. “And we knew that as well coming into this season, unfortunately we’ve been on the wrong side of those seven-point losses this year. One of those narrow defeats for Wasps came two games ago when Newcastle built their own form with a 20-19 victory at the Ricoh. Following that loss Wasps were defeated 27-14 at Gloucester Rugby last time out, despite the return of England stars Elliot Daly, Joe Launchbury, Brad Shields and Nathan Hughes – although Johnson is hoping an international impact is felt in the remaining five games. “Brad, Nathan and Elliot have done really well from a personal point of view in the Six Nations, hopefully those guys can be a springboard for us going into these last games. Ashley Johnson was speaking at a Gallagher ‘Train with your Heroes’ session at Kenilworth RFC after their ladies side won a nationwide competition launched by Gallagher, a passionate community insurance broker and proud title partner of Premiership Rugby. Kenilworth Ladies won by describing how their team embodies the spirit of rugby, both on and off the pitch, and helps grow the game locally.